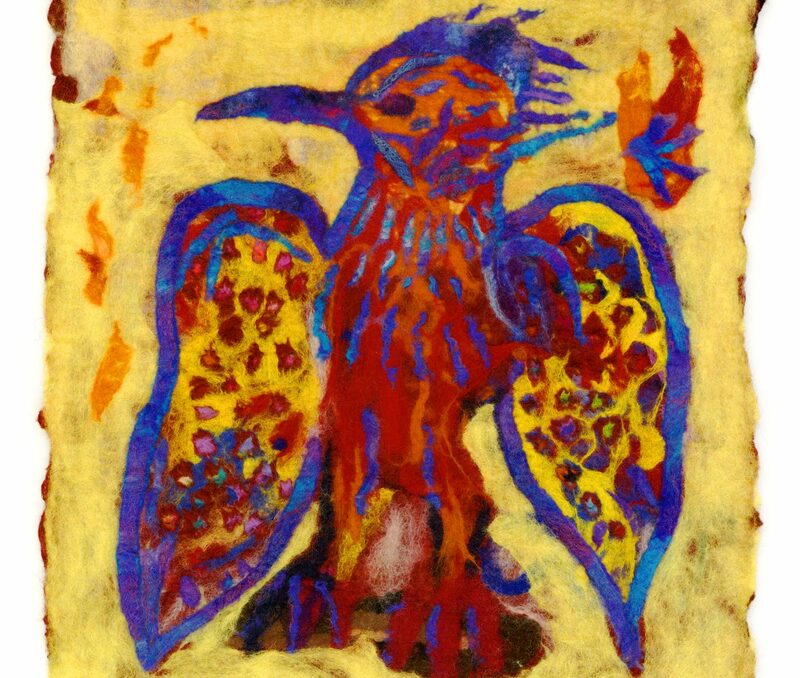 Colour is of pre-eminence in Sue’s work whether it is a painting, a drawing or a felt wall-hanging. She has been a Felt-maker for nearly 25 years and a Painter for many more. Her preference in fibre is for Merino and the acid-dyed colours provide the glorious hues with which she works. She processes some fibre from local flocks and incorporates this into her work. She frequently places yarns into the work, either felting it into place or stitching onto the finished work. In her painting she chooses to use Watercolour or Oil. Whilst with pastels her preference is for Northumbrian-made Unison pastels; their colour range seems perfect for the bleak upland places in which she loves to roam, and their texture is perfect for her. The mid-Wales landscape of the Pumlumon range, Dyfi valley and Cadair Idris are her inspiration and she’s spent many hours getting wet, being cold, or basking in sunshine whilst observing an area which resonates at some deep level of her soul. 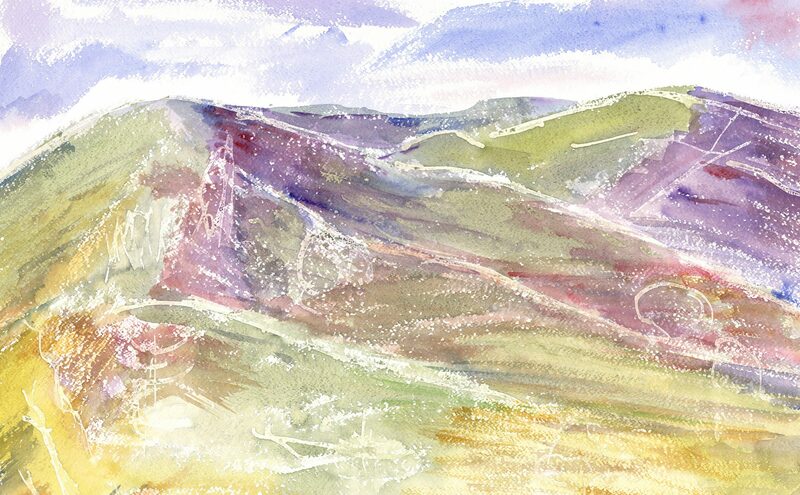 Raw, un-peopled places with vast skies are the starting point for Sue’s work and she has thousands of quick sketches she’s made on her many, many walks.